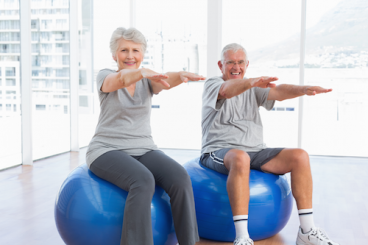 Body In Balance Fitness Center offers Personal Training services by our certified training staff. Whether your goal is to lose weight, build muscle and or tone, strengthen a joint for surgery, or achieve better health, our personal trainers will guide and motivate you until your goals are met. Our knowledgeable staff works with both male and female participants and is committed to your fitness goals. All personal training sessions are held at Body In Balance Fitness Center in Linwood, NJ. The training sessions offered fall into one of two categories: full hour or half hour, private training sessions. These training sessions can be purchased in a conveniently priced package, tailored to your desired result. 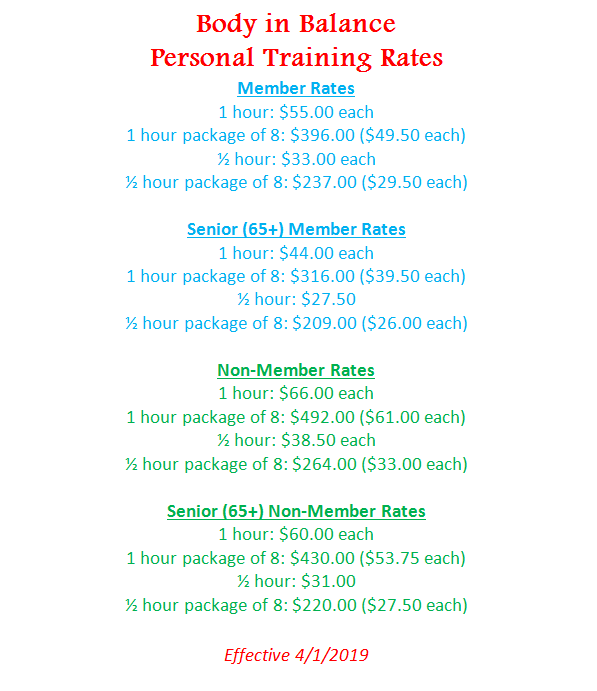 Personal training sessions are offered morning, day, and night, but are based upon trainer availability and gym hours.